The Special One once spoke with a sense of pride at balancing the books at Stamford Bridge. 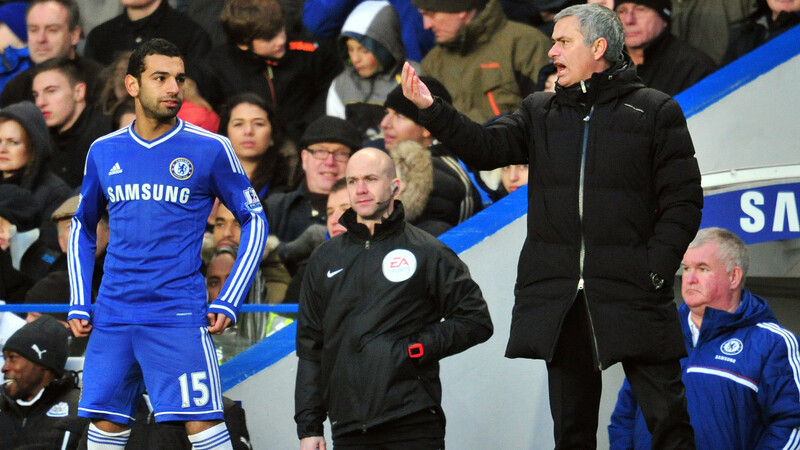 Mohamed Salah at Chelsea Another Jose Mourinho cast-off Image Getty. The legacy left by Jose Mourinho at Chelsea continues to be felt in the transfer market with several Blues cast-offs finding themselves in serious demand all over again. It begs the question: in this era of mega-money deals and the stockpiling of players, is Mourinho beginning to lose his Midas touch in the transfer market or are modern market forces giving players less and less time to impress? The assertion comes as Liverpool close in on Roma forward and Egypt international Mohamed Salah in a rumoured £34m deal. It’s the second time Liverpool have targeted Salah, who first came to the attentions of the Premier League’s biggest and brightest after impressing for Swiss club Basel in a string of European ties against Chelsea and Tottenham. Chelsea eventually won the battle to sign the forward for just £11 million in January 2014 with many predicting he would go on to great things at Stamford Bridge. Except Salah really never got a look in. Over the latter half of that season, he started just six times for the Blues, appearing a further five times as a substitute, despite scoring twice in the league along the way. It was a baffling approach to a player who had proven himself capable of scoring against the Premier League’s best and was in high demand at the time. Were Chelsea and Mourinho simply signing Salah as a means of preventing a rival like Liverpool from getting their hands on him? Given that he eventually went out on loan to Fiorentina and then Roma, there’s certainly room for that kind of argument. What cannot be disputed is that Salah was never really given a fair crack at the club by Mourinho and, as soon as he went elsewhere and got an extended run, he impressed. Yet Salah was only the latest in a string of players to experience similar woes under Mourinho and Chelsea. Romelu Lukaku and Kevin De Bruyne were two of the brightest prospects in Europe upon arrival at Stamford Bridge but soon moved on, scoring goals, providing assists and pushing up their value elsewhere as a result. The argument is that Mourinho simply had no room for these players in an already talented team that included the likes of Willian and Eden Hazard. But the subsequent slump that led to his sacking by Chelsea highlighted a lack of long-term planning by the manager and club, who allowed talented squad stars to leave and became too reliant on the ones that remained. That lack of forward planning is a criticism that’s been levelled at Mourinho before – at Inter Milan, in particular, the squad quickly fell apart following his departure to Real Madrid, with the Nerazzurri lacking squad depth beyond the first team. Lukaku and De Bruyne were bought in at Chelsea for the future. Of course, they pushed for moves and more first-team football elsewhere at the time but a shrewder manager, like Sir Alex Ferguson, could have easily convinced them to stay and be patient. Too often, also, players were not given the time on the pitch to prove themselves up to the task – Juan Cuadrado played 13 times in just over a season and bit before being cast aside. He played in the Champions League final last season. It could have been even worse at Chelsea too – both Victor Moses and Pedro would probably have left the club had Mourinho stayed, having struggled for form or been repeatedly loaned out. As it was, Conte found a way to coach them into form and success with the club – does that success make him a better manager than Mourinho? Salah could yet be the exception to the rule though a return of 34 goals in 83 games for Roma indicates others, and if he succeeds then it’s not just Mourinho but Chelsea too that needs to question its approach. The club is notorious for stockpiling talent and too often casting aside players after next to no time at all. In truth, it’s an approach they have also taken to the management of the club. Squad rotation, better man-management and a fresh approach to transfer policy could all solve the problem but, as long as Mourinho and Chelsea continue to taste success, albeit apart, things are unlikely to evolve.